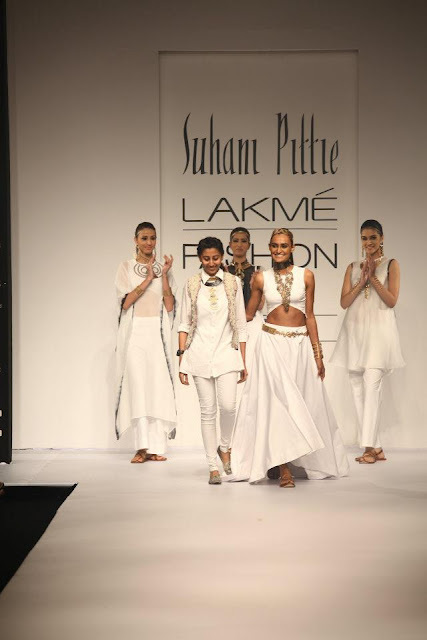 One of India's top jewellery designers, Suhani Pittie showcased her “Child of Eden” collection which dazzled the audience at Lakmé Fashion Week Summer/Resort 2012. 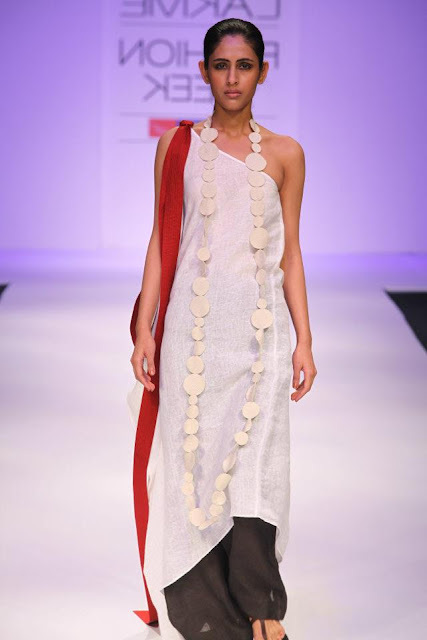 Her jewelry line, complete with gorgeous details was full of unique pieces. 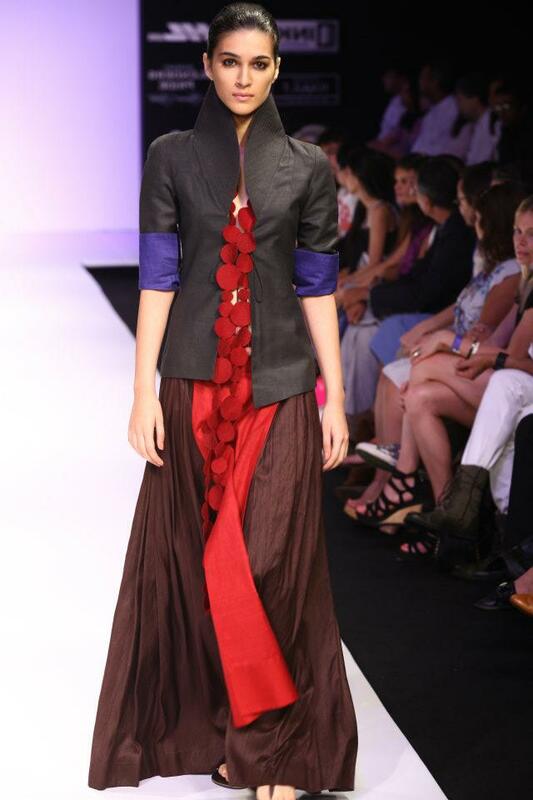 Her designs had a lot of inspiration from nature, featuring leaves, vines, roses and birds. She presented a large range of jewelry in the form of cuffs, bangles, collar bands, neck pieces, belts, earrings head bands, anklets, brooches, bags and hair bands. 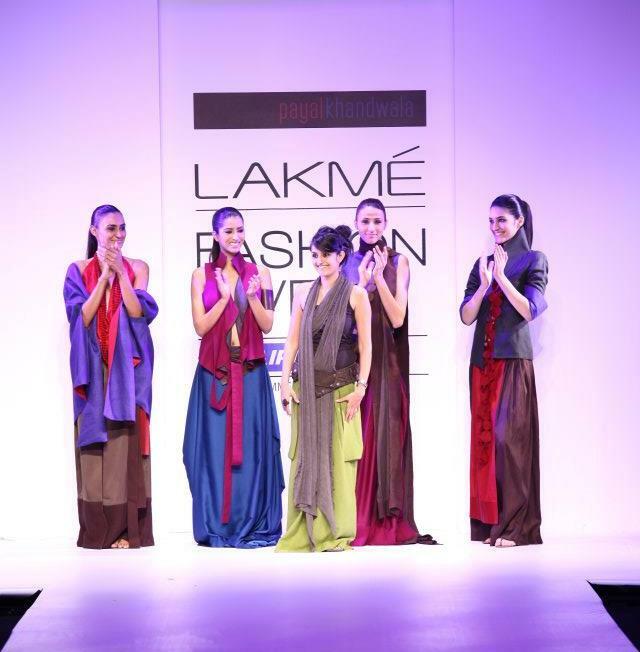 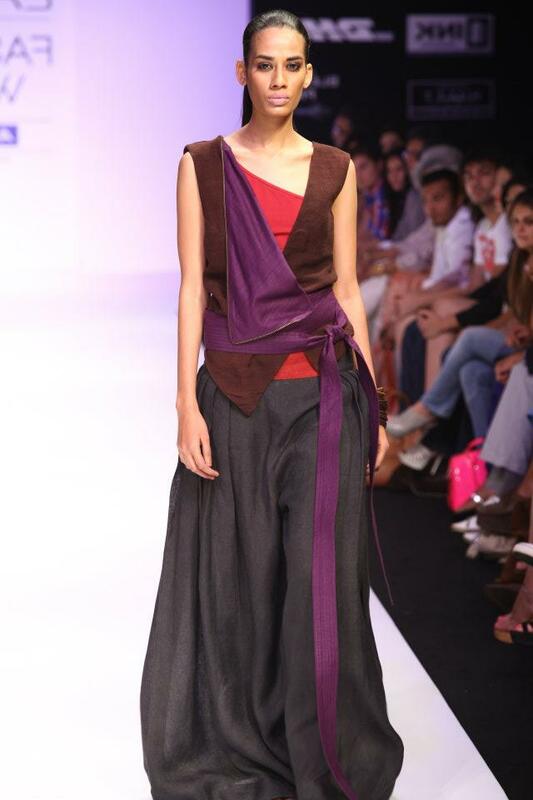 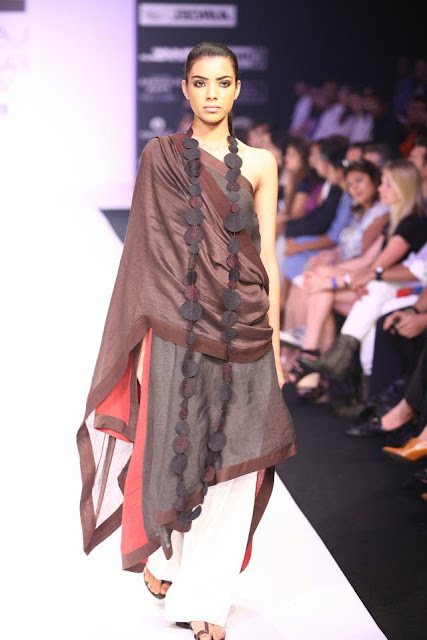 The multi talented artist and fashion designer Payal Khandwala’s persented her collection “Play” at Lakmé Fashion Week Summer/Resort 2012. 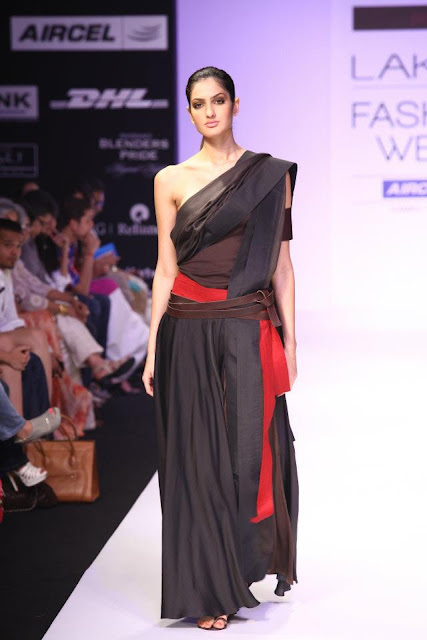 She chose deep jewel tones with some neutrals using rich Indian silks, linens and cotton with flowy silhouettes in striking drapes and wraps. 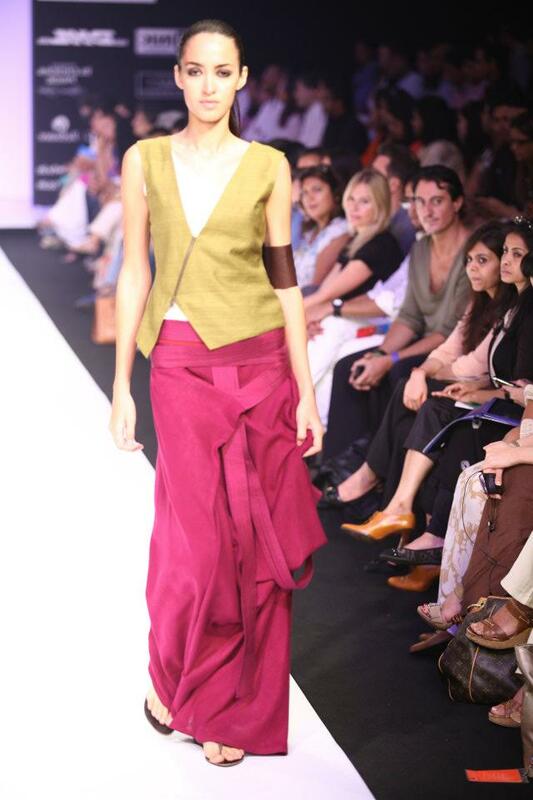 I found the collection very comfortable and laid back and quite wearable for the upcoming summer.